As we hear every day about the NSA and spies and espionage nationally and internationally it’s good to remember what happened on this day in 1953. Julius and Ethel Rosenberg, who were convicted of conspiring to pass U.S. atomic secrets to the Soviets, were executed at Sing Sing Prison in New York. Both refused to admit any wrongdoing and proclaimed their innocence right up to the time of their deaths, by the electric chair. The Rosenbergs were the first U.S. citizens to be convicted and executed for espionage during peacetime and their case remains controversial to this day. Ethel’s younger brother implicated his sister and brother-in-law. Greenglass, who himself had confessed to providing nuclear secrets to the Soviets through an intermediary, testified against his sister and brother-in-law in court. He later served 10 years in prison. Rushing to judgement is a terrible thing. Yet, we do it all the time with each other. We judge people on appearance, on rumor, on suspicion, and just because we are in a bad mood. Now I don’t want to suggest that spies need to be give a pass but in our country we believe in “due process.” Due process is the legal requirement that the state must respect all of the legal rights that are owed to a person. 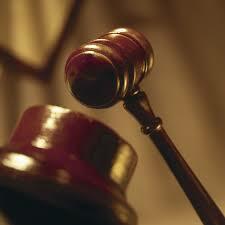 Due process balances the power of law of the land and protects the individual person from it. For us as Christians due process is to be taken even further. Jesus is recorded to have said in Matthew 18: 23 “Therefore, the kingdom of heaven is like a king who wanted to settle accounts with his servants. 24 As he began the settlement, a man who owed him ten thousand bags of gold was brought to him. 25 Since he was not able to pay, the master ordered that he and his wife and his children and all that he had be sold to repay the debt. 26 “At this the servant fell on his knees before him. ‘Be patient with me,’ he begged, ‘and I will pay back everything.’ 27 The servant’s master took pity on him, canceled the debt and let him go. 28 “But when that servant went out, he found one of his fellow servants who owed him a hundred silver coins. He grabbed him and began to choke him. ‘Pay back what you owe me!’ he demanded. 29 “His fellow servant fell to his knees and begged him, ‘Be patient with me, and I will pay it back.’ 30 “But he refused. Instead, he went off and had the man thrown into prison until he could pay the debt. 31 When the other servants saw what had happened, they were outraged and went and told their master everything that had happened. 32 “Then the master called the servant in. ‘You wicked servant,’ he said, ‘I canceled all that debt of yours because you begged me to. 33 Shouldn’t you have had mercy on your fellow servant just as I had on you?’ 34 In anger his master handed him over to the jailers to be tortured, until he should pay back all he owed. 35 “This is how my heavenly Father will treat each of you unless you forgive your brother or sister from your heart.” Forgiveness is a precious thing to the followers of Jesus. The state has its own worries and interests but when it comes to the way we treat each other let’s keep these words in mind. Martin Luther extrapolates further on the meaning of this concept in his explanation to the eighth commandment when he wrote, “Thou shalt not bear false witness against your neighbor.” What does this mean? “We should fear and love God that we may not deceitfully lie, betray, slander, or defame our neighbor, but defend him, [think and] speak well of him, and put the best construction on everything.” Although hard to do – God compels us in the name of all that is good to treat people without judgment. Judgment belongs to God. So before you rush to judgment on alleged crimes of government or crimes of individuals be careful lest you find yourself under judgment. This entry was posted in Coach's Blog, denny meyer, life coach, Sonrise Coach, Spiritual Coach - Denny Meyer, spiritual coaching and tagged coach denny meyer, denny meyer, spiritual coach, spiritual coaching. Bookmark the permalink.